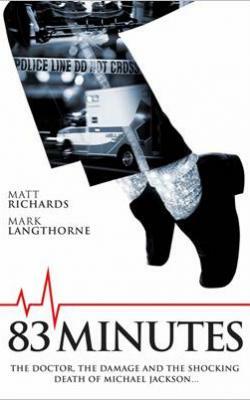 *Michael Jackson’s final moments on June 25, 2009 – and the months leading up to them – are detailed in a new book by Mark Langthorne and Matt Richards titled 83 Minutes. According to People.com, Jackson thought his new personal physician Conrad Murray could help him recapture the energy needed for his anticipated “This Is It” tour. He is described as financially and physically drained in 2009, just four years after his acquittal of molestation in a high-profile case. Attempting to earn money with a comeback tour, Jackson turned to Murray that April for a drug he thought would cure his insomnia: Propofol. Coupled with Demerol (an opioid pain medication) administered by his dermatologist, Jackson’s faculties were significantly diminished by his increased daily drug intake, “This is It” director Kenny Ortega noted. Ortega said that Jackson was “weak” and “fatigued,” comparing him to a “lost boy.” During rehearsals in London, Jackson forgot song lyrics, and on the phone with son Prince Jackson, then 12, he cried, “They’re going to kill me,” the book says. Twenty minutes after pushing 25mg of Propofol into Jackson at 10:40 a.m., Murray testified, the star was asleep. While the physician insisted to police he left the room only to use the bathroom, phone records presented in court revealed he was on the phone to various contacts and a girlfriend between 11:07 and 11:51. It wasn’t until 12:05 p.m. that anyone else in the house even realized something was amiss. While Murray told police he immediately ordered Alberto Alvarez to dial 911, Jackson’s assistant shared a different story. Alvarez said Murray surveyed the room before shoving vials and an IV drip into a bag. It wasn’t until 12:21 p.m., Alvarez said, that 911 was called, the book explains. Murray then attempted CPR – a horrific scene that Jackson’s young children briefly encountered. Minutes later, the ambulance arrived. Paramedic Richard Senneff testified that Jackson looked like a “hospice patient,” the book says, and that Murray at first told him the “Thriller” singer was on no medications. After two rounds of drugs failed to kick-start Jackson’s heart, a supervising UCLA doc wanted to pronounce him dead. Murray, was hesitant, though, according to 83 Minutes, and, at 1:07 p.m. ordered him taken to the hospital. It was there that his death would be declared. A short two years later, in 2011, Murray was convicted of involuntary manslaughter for his involvement in Jackson’s death. He was released in 2013 after serving half of his four-year jail sentence.